How Google and Facebook are handling ads around Ireland's abortion referendum is raising new questions about the companies' preparedness for the US midterm elections in November. Google (GOOG) announced on Wednesday its decision to stop selling ads that advocate for either side of the abortion debate in Ireland, citing "election integrity efforts globally." Ireland's abortion laws are among the strictest in the developed world. Irish voters will decide in a referendum in two weeks whether to amend the country's constitution, allowing for abortion to be more accessible there. 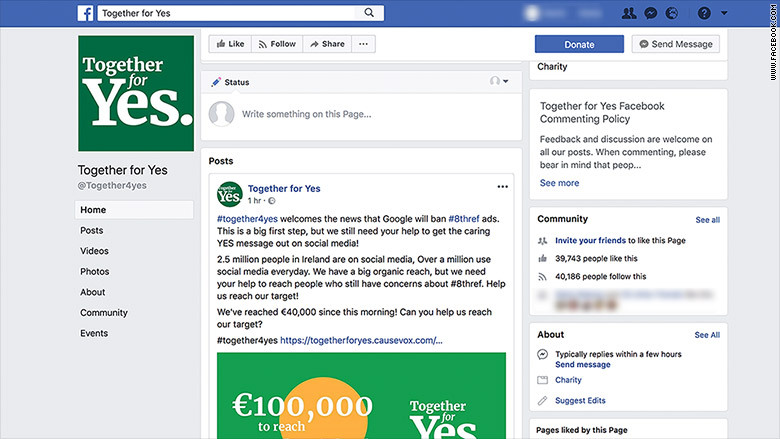 Google's move to ban referendum ads follows Facebook's announcement to stop allowing advertisers from outside Ireland to purchase ads related to the vote. Google's challenge in Ireland is small compared to what it faces in the US. Ireland has a population of less than 5 million people and its upcoming referendum is on one issue: abortion. In November, there will be hundreds of Congressional and gubernatorial elections in the US and ballot initiatives on many issues. Facebook (FB) has experienced some issues with its crackdown strategy in Ireland so far. Last month, the company told Irish parliament it would roll out new ad transparency efforts ahead of the vote. Irish Facebook users can, in theory, see what ads a campaign page is running via a new "ads" tab. However, CNN discovered last week the feature was not working for some users in Ireland. The tab was present on the main page of some referendum campaign pages but when clicked the ads wouldn't load. 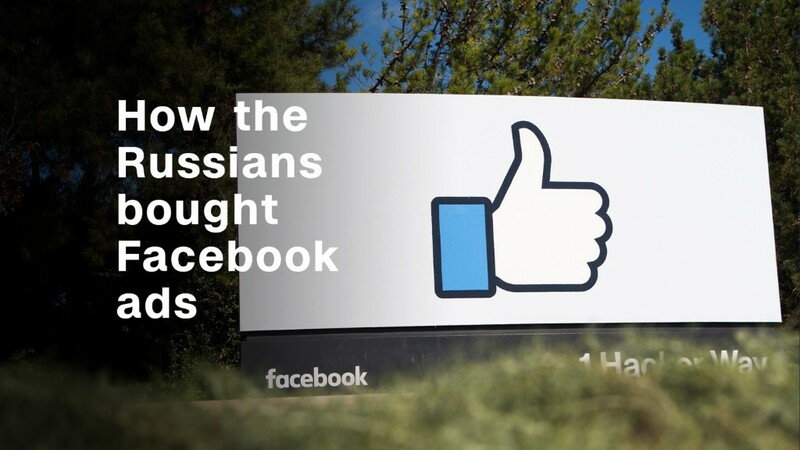 On Wednesday, the tab was still not showing for some Irish Facebook users, CNN found. However, an option to "view ads" was available via a drop-down menu on some pages, but it was in no way prominent. The option to "view ads" was not visible on the homepage of referendum campaign pages on Wednesday. Ireland's national broadcast network RTE criticized Facebook last week for allowing a fake RTE news video about abortion to run as an ad on its platform. The clip had been uploaded to YouTube and promoted on Facebook. Both companies removed the content after they were contacted by RTE. Meanwhile, Twitter said it will not accept any ads about the Irish referendum due to its policy on "Health and Pharmaceutical Products and Services," which does not permit ads about "Abortion clinics" and "Abortion advocacy."